Beyond basic online giving, there are many other ways you can join our community and support our work. Ensuring schools have access to high quality, curriculum-enhancing programs that meet educational goals at a reasonable rate. Ensuring students aged 3 through 18 have access to transformative professional arts experiences that help them dream beyond their current situation, gain skills and knowledge needed to succeed in the 21st Century, and unlock creative talents they didn’t know they had. Ensuring our teaching artists play a more meaningful role in educating and developing children and youth through the power of art. Ensuring more teachers learn how to use the arts in the classroom to engage all types of learners with proven arts integration techniques and thereby reduce school dropout rates and increase achievement throughout our schools. Ensuring families spend precious time learning together. If you participate in a giving program at work, ask if you can add Arts for Learning Connecticut as a beneficiary of your support. If you have a facebook account, you can create a simple online fundraiser and invite your friends to contribute. Many people use their birthday, a holiday or some other life event as an occasion to do this. Our Sunburst Society members are generous donors who want to ensure that Arts for Learning Connecticut will continue to serve future generations of children with high-quality, professional arts experiences that have become synonymous with our name. The membership begins with a $1,000 annual pledge for the next five years. Multi-year gifts at this level build a legacy of learning in and through the arts, giving Arts for Learning Connecticut the financial confidence to plan strategically for tomorrow’s educational needs, while meeting the demand for today’s programs. To join the Sunburst Society, please call our Director of Development, Julie Lister 203-230-8101, ext. 16.  Amazon Smile​ is a simple and automatic way for you to support Arts for Learning Connecticut and every time you shop, at no cost to you! You’ll find the exact same prices, selection and shopping experience as Amazon.com, with the added bonus that Amazon will donate a portion of the purchase price to your favorite charitable organization. Select Arts for Learning Connecticut. as your favorite charity to help us reach every Connecticut child through the arts. CLICK HERE for a printable form to mail to us with your tax deductible donation.